Specially formulated to enhance the digestive process. Made in the USA. According to scientific studies, humans, horses, and animals have a large amount of beneficial bacteria and yeast inside their body. 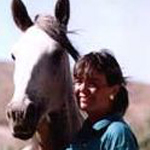 In previous times, horses were able to graze out in the open fields, thereby ingesting a wide variety of microorganisms that kept their gut healthy. In today’s times these animals do not have the same opportunity to indulge in nature’s finest selection of medicinal herbs and plants. Evidence suggests that probiotics are immensely helpful for horses that have been prescribed antibiotics. 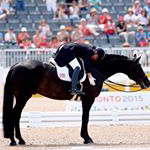 Horses suffering from diarrhea and other chronic diseases of the intestine will also benefit from probiotics. Additionally, newborn foals, horses prone to allergies, highly active and geriatric horses should also be given the Great Gut Equine Probiotics to improve their health. The composition of the Great Gut Equine Probiotic contains nutrients to help boost the immunity of horses and make them stronger, and better able to make all nutrients immediately available from your current feed. This product is specially designed to help your horse manage digestive stress caused by hay fluctuations, stress, competition, transport, surgery, hospitalization, disease, training, unhealthy diet – high grain, high starch – or changes in diet. Probiotics have recently become a huge focus among savvy consumers. 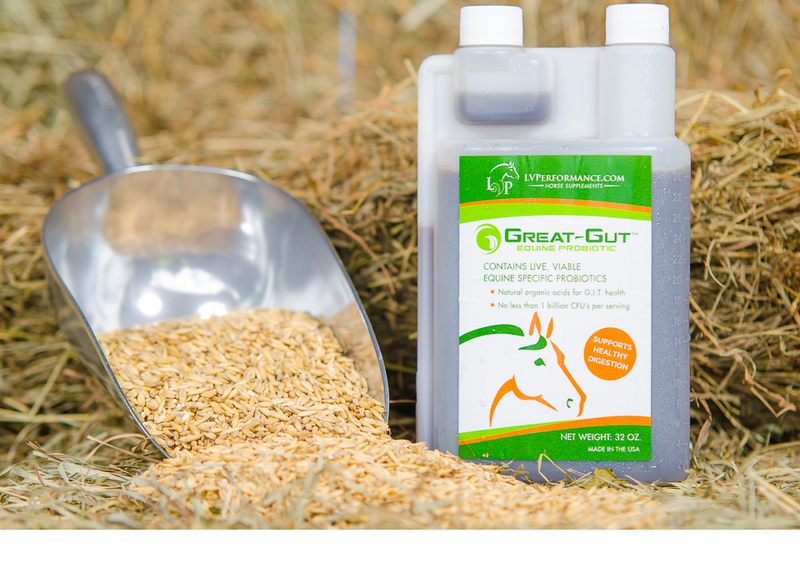 Great-Gut is among a very few probiotic supplements on the equine market today that come in a liquid form and one of the only that does not require refrigeration. 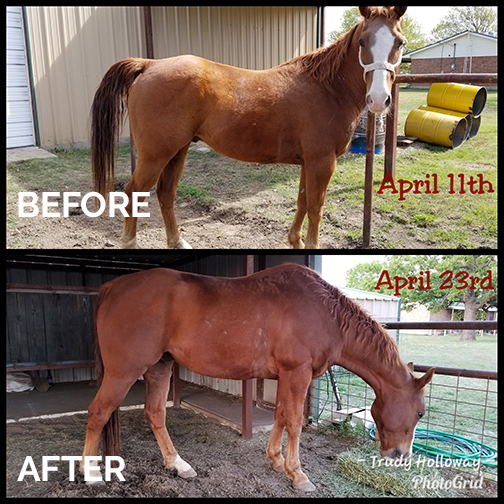 Using Great-Gut probiotic supplement will ensure that your beloved horses intestinal and digestive tracts will stay healthy and free of disease and help them by furthering their ability to perform at the highest levels but to also live a happy, healthy life no matter what discipline they are in. 2 oz. per day during times of stress including pre-event, post-event/recovery, transportation, injury, diet change, illness, antibiotic use and upset digestion. Draw up an ounce (or two) in the bottle, and poor it directly over the top of horses grain and thoroughly mix up. Alternately, you may use a syringe to squirt it straight in their mouth. The horses really love the taste of Great-Gut and I haven't had one turn it down yet. One of my favorite products is Great Gut. All of my horses (young, old and competitive) love it! It helps them with daily stressors as well as showing, traveling, training and even something as small as a change in hay. They love the taste and it is so easy to feed in its' liquid form. 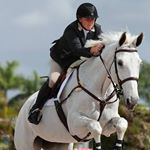 I have been using Great Gut on my top horse Rosmarin as well as clients horses for over a year with great results. It is extremely helpful under the stresses of shipping to Florida from NJ as well as when we are in intense training for the Grand Prix work. It keeps his motility very consistent and that means his attitude is always willing and happy. The palatability of this product is excellent, even one of my clients super picky horses eats it up and licks his feed bowl clean whereas before using this product, he would always leave crumbles. I highly recommend using this product if you have a horse that has any GI problems, being pushed to the next level of training or traveling to shows regularly. The many strains of good bacteria will allow his gut to function properly under the many stressors and ever changing conditions.. The information contained on this website are provided for general information purposes only, and should not be used to replace medical advice. Please do not use this web-site to self-diagnose and treat your own pets. If your pet is unwell, or in danger of becoming unwell, please consult a licensed veterinary to obtain the correct and proper diagnosis.